Last night while eating my 4 ounces of jello I realized that I don't like jello. Actually I already knew this but I was just thinking. I think the biggest problem is I don't understand jello. You know you put water in the freezer and it turns to a solid but when you take it out it melts back into a liquid. Well why does jello not do the same thing? 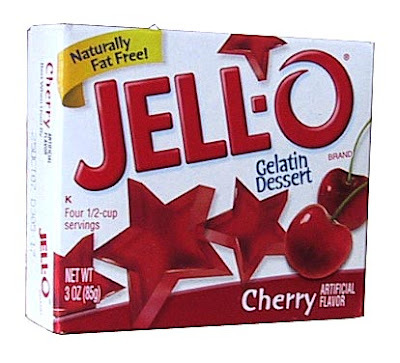 Once jello becomes a solid it cannot go back to liquid form unless you put it in your mouth and squish it back and forth between your teeth and then it is still not completely a liquid. And that whole wiggly thing, it just freaks me out. Now that I have expressed my weirdness with jello, last night I have never enjoyed something so much. It was nice and fruity but still really awkward to eat, you know cause of all the squishy jelloness.